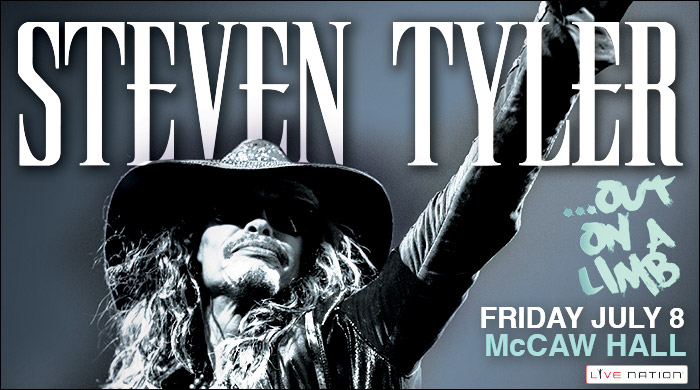 Rolling Stone named Steven Tyler “one of the greatest singers of all time,” and you’ll be able to hear why this Friday night at McCaw Hall, where Tyler will perform live with his own band, Loving Mary. You might ask, Loving Mary? Wait, what about Aerosmith (because, unless you are completely unfamiliar with rock and roll, you know that Tyler is Aerosmith’s frontman)? Don’t worry about Aerosmith; they will be just cool as always. Instead, pay some attention to Tyler’s solo project, which will reveal itself in a 2016 country album called We’re All Somebody From Somewhere. The album’s first single, a patriotic and cheeky “Red, White & You,” has done very well on the US Country Chart, showing Tyler has a bright solo future. While you can expect Steven Tyler to perform a number of Aerosmith songs, look forward to his solo work and unexpected covers. 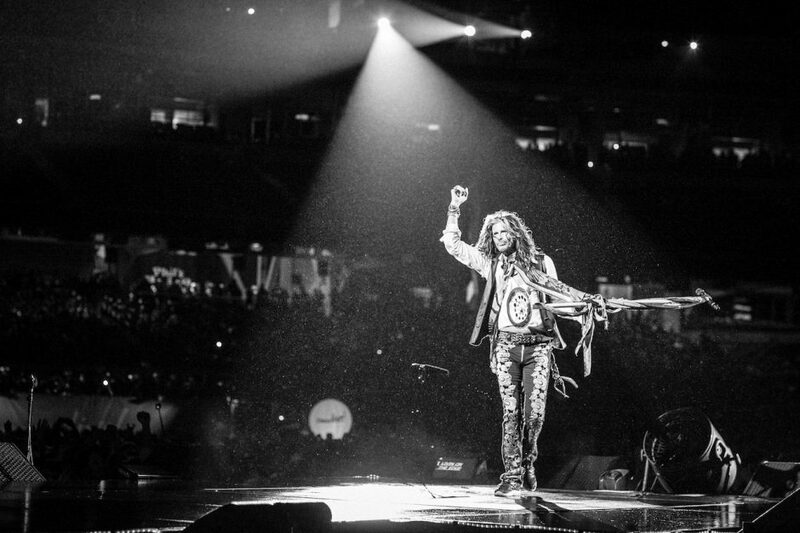 The event, called Steven Tyler. . . Out on a Limb, has received rave reviews, including the reception of its debut performance, a benefit for Janie’s Fund, Tyler’s philanthropic initiative to help abused girls. He’s an inspiration who has received so many awards in his career. Can you tell I love him? Friday’s show will also give fans the opportunity to see Tyler in an unusual venue (McCaw holds ballets and operas!). For tickets & details, head over to McCaw Hall’s event page. Written by: Dagmar on 07/06/2016. This entry was tagged posted by dagmar, steven tyler. Bookmark the permalink.